It’s always beautiful when scientific discovery leads directly to concrete changes in environmental policy. Such was the case with a team of scientists who will be honored by the SeaDoc Society on Friday for having demonstrated how copper damages salmon’s sense of smell. Their work led to legislation that removed copper from car brake pads in Washington State. The team, led by NOAA scientists Drs. Jenifer McIntyre, David Baldwin, and Nathaniel Scholz, helped pave the way for the legislation, which will benefit salmon recovery by reducing the loadings of toxic metals to the Salish Sea by hundreds of thousands of pounds each year. The award will be presented at the Salish Sea Ecosystem Conference, which starts April 13 in Vancouver, B.C. Close to 1,000 scientists and conservationists from both sides of the U.S.-Canada border are expected to convene for three days to discuss recovery of the Salish Sea. Copper is a major constituent of conventional brake pads and is released with other metals in a fine dusting each time a car slows. This metal is then washed into streams, rivers and the Salish Sea by rainfall. 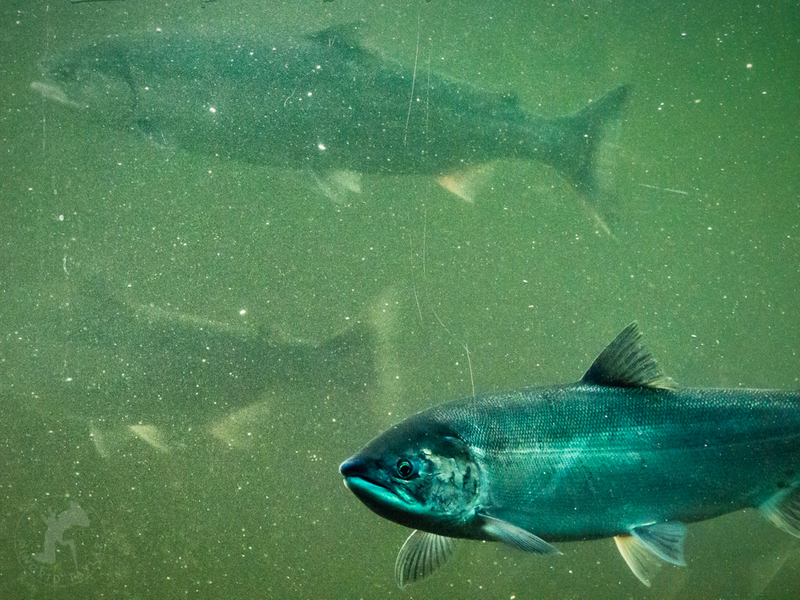 Copper has long been known to disrupt the sense of smell in fish, but the consequences of transient, low-level copper exposures for salmon were unknown when the NOAA team began studying this problem in the early 2000s. The prize-winning scientists and their colleagues first showed that copper blocks salmon's ability to smell well during the short length of a typical stormwater runoff event. The team then demonstrated that copper-caused damage to the olfactory (smell) system actually made juvenile salmon more vulnerable to predators. Salmon attacked by predators release a smell from torn skin, which acts as an alarm signal for other salmon to evade attack. Salmon exposed to copper at levels expected during a storm event failed to respond to this alarm cue, causing higher rates of mortality in predator-prey encounters. The scientists addressed several other natural resource management concerns, including the applicability of the new findings across salmon species and how different water conditions influence how much copper is available to injure the salmon's olfactory system. The SeaDoc Society's Salish Sea Science Prize comes with a $2,000 cash prize. It is bestowed biennially to recognize a scientist or group of scientists whose work has resulted in the demonstrated improved health of fish and wildlife populations in the Salish Sea. It is given in recognition of, and to honor the spirit of the late Stephanie Wagner, who loved the region and its wildlife. The SeaDoc Society is about people and science healing the sea. It funds and conducts marine science and uses science to improve management and conservation in the Salish Sea. It is a program of the Karen C. Drayer Wildlife Health Center, a center of excellence at the UC Davis School of Veterinary Medicine. More information on past winners of the Salish Sea Science Prize. More information on the NOAA Copper team.